← Making friends in London: is a new rapprochement on Zimbabwe occurring? An important new book – Land and Agrarian Reform in Zimbabwe: Beyond White Settler Capitalism – has just been published by CODESRIA. It is the product of the CODESRIA National Working Group on Zimbabwe, and is edited by Sam Moyo and Walter Chambati of the African Institute of Agrarian Studies. All 372 pages are free to download on the CODESRIA site. The book is important in a number of respects. First, it sets the story of Zimbabwe’s recent land reform in a wider context, examining capitalist relations in historical and regional perspective. Second, it offers an alternative political narrative to the standard analysis focused on neopatrimonial capture by political elites. Third, it offers empirical material and analysis from researchers who have undertaken detailed fieldwork on a range of themes including labour (Chambati), community organisation (Murisa), the media (Chari) and mobilisation (Sadomba, Masuko). Finally, as perhaps the leading scholar on Zimbabwean land issues, having worked on the issue over several decades, Sam Moyo is certainly well-placed to provide an informed, and typically provocative, overarching commentary. 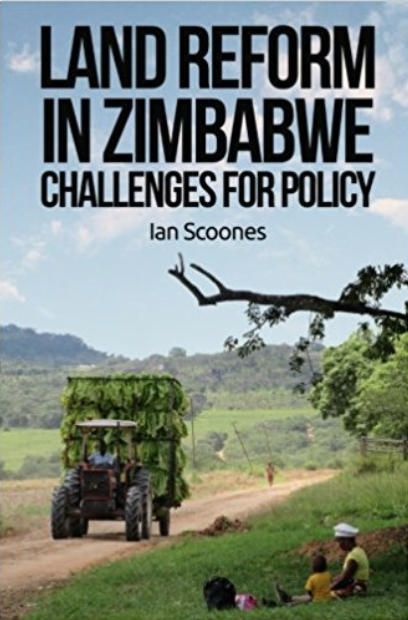 The book argues that most critics of Zimbabwe’s land reform programme “continue to underplay the significance of the settler-colonial roots of Zimbabwe’s land question and its exacerbation under neoliberal rule after independence, in fomenting the social and political crisis which provoked the popular reclamation of land”. (vi) a new nonalignment policy termed ‘Look East’. Not everyone will agree with this summary. Indeed in our own work we have critiqued the singular notion of a ‘land movement’, as well as the role and form of state ‘dirigisme’ in the 2000s and the forms of violent nationalism that became associated with state intervention. However, by offering a frame for debate, some of the lazy assumptions and analyses in other commentaries can be engaged with, with new empirical and theoretical vigour. “….a peculiar mix of liberalism and Weberianism peddled by American political science, especially via the notion of ‘neopatrimonialism’; a rudderless culturalist theory of ‘identity politics’, whose post-structuralism has managed to replicate with great success the settler-colonial obsession with fragmented cultures; and, not least, an escapist ‘left’ critique, which has often sought refuge in pseudo-Gramscian theories of ‘hegemony’, whereby patrimonialism and culturalism substitute for class analysis. Indeed, some ‘Marxists’ succumbed to similar imperialistic and antinationalist impulses, to the effect of silencing class analyses which demonstrate the progressive nature of the land reform”. “ …eschews the interrogation of class formation processes and exploitative relations of production (especially in the emerging labour relations) and the continued extraction of surplus value (particularly from peasants) through exchange relations driven by monopoly-finance capital. The critical role of state intervention in the overall outcome is also visibly downplayed by its liberal-populist orientation”. While elements of this critique may be appropriate, I would argue that we have offered, on the basis of our Masvingo work, a detailed analysis of social differentiation and class positions, informed by a livelihoods analysis. We argue that the current rural struggle is between ‘middle farmers’ in alliance with the rural poor and a new rural elite, supported by the party and state. Indeed in Moyo’s chapter on the changing structures of rural production he concurs with our analysis from Masvingo, showing how the growth of small-scale capitalist producers through a process of ‘repeasantisation’ has widened the prospects for accumulation from below, despite the new class struggles observed. Thus I wholeheartedly agree with the book’s central argument that a perspective informed by historically-informed class analysis can be especially revealing. This class analysis, although unevenly applied, is certainly the strong feature of the book, making it an important contribution to the debate. In particular, Moyo argues that the petty bourgeoisie broke ranks with monopoly capital and became radicalised, and so part of a decentralised, organised land movement, led by the peasantry and mobilised by war veterans. The ‘tri-modal’ land pattern that emerged from land reform, including large capitalist enterprises, small-medium scale farms and smallholder farms, reflects the accommodations of different class interests, the book argues. Moyo however is not without his critique of the current regime, noting that: “the nationalist leadership in recent years has come to represent mainly un-accommodated bourgeois interests… which are under the illusion that they can reform monopoly capitalism so as to sustain a ‘patriotic bourgeoisie’ into the future”. The alignment of the state with capital is examined at various points in the book, including reflections on the ‘indigenisation’ programme (bolstering the ‘patriotic bourgeoisie’), the Look East policy (non-alignment to realign, strategically seeking capital and investment) and focused ‘developmental’ state intervention post 2000, discussed by Moyo and Nyoni, in the context of a highly polarised political landscape, and the flight of international capital. Thus, Moyo argues “the reconfiguration of domestic agrarian markets and struggles over these, in relation to changing forms of state intervention, in the context of a gradual reorientation of critical commodity and financial markets to the East, have been overlooked”. Overall, Moyo argues that in recent scholarship on Zimbabwe, there has been “a systematic neglect of the continent’s subordinate relations to monopoly-finance capital, as well as empirical analyses of class formation, political alliances, emergent social movements under the current crisis and the implications for state intervention and development”. This book attempts to redress this neglect, and fills an important gap in the literature. Not everyone will agree with some of the detail, and some of the political arguments will no doubt be countered. However, the analysis of the class-based nature of Zimbabwe’s transformation is most definitely welcome, and the book further enriches our understanding of Zimbabwe’s complex agrarian transformation. Reblogged this on Researching Zimbabwe: Land, Agriculture and Livelihoods. So no comment on the new constitution that disallows Anglo-Africans (read non-indigenous persons) from owning land? Is this not racial discrimination, and thus a violation of one fundamental human right? use, transfer, hypothecate, lease or dispose of agricultural land regardless of his or her race or colour”. You can read the full final draft (now approved) Constitution at: http://www.swradioafrica.com/Documents/Final%20draft%20Constitution%2025%20January%202013.pdf. Thanks for those links. I was mis-informed. Do you have an opinion then on the fact that Anglo-Africans who purchased their land post-independence, with Government approval, will not be compensated for their land (but for improvements), whereas Bantu-Africans who lost any land since independence will be fully compensated. Is this not racial discrimination? A clause even exists to prevent ‘non-indigenous’ persons from challenging discrimination. It seems to me that human rights in Zimbabwe are flexible. Do have a look at the following links on compensation issues and legal contests over land. The compensation issue is important, and hopefully will be resolved soon in line with the provisions in the Constitution. This will pave the way for the formalisation of tenure, and issuing of leases. Thanks for these links, and I think (most of these) articles are balanced and well thought-out. I feel that the land issue will drag-out for many years (hundreds even) until some form of compensation is made. People who agitate for compensation have one core and valid argument. That ofcourse is the fact that Anglo-Africans (at present) are not considered African, or in more crude terms, white Zimbabweans are not considered ‘indigenous’ to Zimbabwe. My point is easy to illustrate. So when you state that ‘international law is not clear on land compensation, and compensations for improvements only is an accepted mechanism elsewhere, and probably the only feasible one for Zimbabwe’ then why are you not critical of the fact that the constitution allows for ‘indigenous’ Zimbabweans to be compensated for improvements AND land? You also state that ‘natural justice … rather depends on the wider consideration: clearly land reform was redressing longer term injustices due to colonialism’, yes and that needed to be addressed – but why then are Zimbabweans (of European descent) who purchased their land, with Government approval, after independence not accorded the same recognition under the constitution (regards compensation), as other Zimbabweans?